Now that winter is in full swing, itâ€™s a perfect time to go whale watching in Coastal Georgia. This is particularly the case if you own Sea Island, GA real estate. 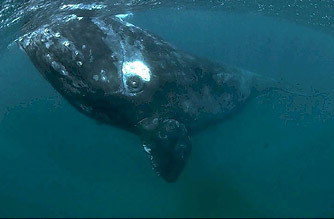 Each year, North Atlantic right whales visit the waters located directly off of the islandâ€™s coast. The beautiful, endangered creatures make the annual trek to our area in the hopes of giving birth to healthy offspring. Whatâ€™s even more interesting is that according to the Georgia Conservatory, our region is the only place where the majestic marine mammals feel comfortable doing so. Being Sea Island, GA real estate fans ourselves, we can’t really blame the North Atlantic right whales for loving Coastal Georgiaâ€™s waters. They are clean, warm and teaming with zooplankton. Zooplankton are one of the creaturesâ€™ favorite food sources. They are also known to eat krill. Sadly, despite having our resplendent, Sea Island coast to escape to each year, scientists estimate that there are less than 500 North-Atlantic right whales left on the entire planet. Part of the reason why there are so few left is that they tend to get caught up in fishing nets and hit by seafaring vessels in other areas of the ocean. With that said, itâ€™s important that Sea Island, GA real estate owners and vacationers keep their distance. Otherwise, the mammalsâ€™ health may be put at risk. One of the safest ways to watch them is by charter plane. You can typically reserve a charter through the McKinnon St. Simons Island Airport. A charter boat trip is another option. They tend to be available through St. Simons Island dolphin tour operators like Captain Fendig Tours and the Blue Dolphin. However, by law, the boats must stay at least 500 feet away from the whales. So youâ€™ll definitely want to bring your high powered binoculars and zoom lenses along for the ride. Wondering whenâ€™s the best time to catch sight of Sea Island, Georgiaâ€™s wintering whales? Personally, weâ€™d recommend visiting sometime between December and April. The rest of the year the marine mammals tend to reside in other areas located off of North Americaâ€™s northern coastline. When you are finally ready to explore Sea Island, GA real estate and look for North-Atlantic right whales yourself, please contact us at (912) 638-0406. DeLoach Sotheby’s International Realty would love to help you select a property along Georgiaâ€™s stunning coast.